Ten-year-old Darcy Burdock is one of life's noticers. She sees the extraordinary in the everyday, and the wonder in the world around her. 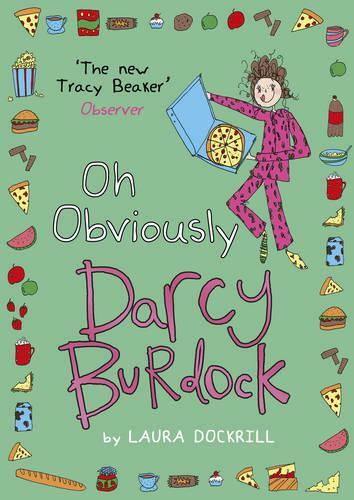 This is Darcy's fourth story, and the Burdock family are facing a series of disasters. Mum and Dad are having serious money worries. Darcy's granny (the one she doesn't like as much as her main most important grandma) has come to stay, and is snapping at everyone. Pork the cat's real owner has turned up, and wants to take him away. And to top it all off, Darcy is dreading her school sleepover - especially as she's the owner of the world's most ugly, stupid, babyish pyjamas. Can the power of Darcy's colourful, wild, glittering imagination turn all her troubles around?